BlackBerry is far from what it used to be, but based on its stock performance this year, the smartphone maker isn’t ready for a burial just yet. BlackBerry shares have climbed nearly 45% this year to $10.94 on Tuesday. That’s pretty remarkable performance for any stock, let alone that of a company many shrugged off as irrelevant and nearly defunct. BlackBerry’s U.S. market share among smartphones is an anemic 2.3% versus Android’s 52.1% and Apple’s 41.9%, according to comScore. 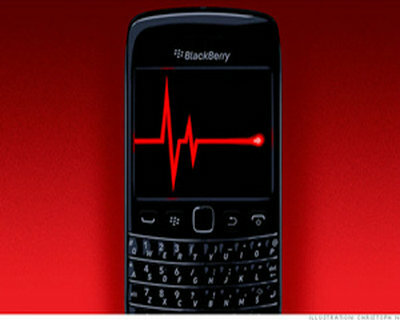 Are rebounding shares one sign of a possible BlackBerry comeback? Not necessarily. Although investors are clearly excited about something happening over at Waterloo. “The primary thing they’ve done is cut costs,” says Ken Dulaney, a vice president at Gartner, a tech research firm. In May, BlackBerry began selling the Z3 smartphone exclusively in Indonesia. The 5-inch, touchscreen device is more notable for its affordability – it costs $190 – than features. It was also one of the first products to emerge from a partnership with Foxconn, the Taiwanese manufacturer responsible for churning out iPads, iPhones, and Kindle e-readers. Previously, BlackBerry contracted out its phone manufacturing, but a new partnership with Foxconn – a notoriously efficient business - is intended to be more cost-efficient in the face of declining revenues, which plunged 69% to $966 during BlackBerry’s first quarter. Besides slashing costs, Chen has also expressed interest in finding new ways for BlackBerry to make money. It’s banking on new devices for emerging markets where the brand remains more widely-used, as well as better enterprise software that is due out by the end of the year. That may not be enough. While Dulaney suggests BlackBerry give up trying to own the software operating system its devices run for the more popular Android he suggests a more radical approach: splitting the company up so products like its messaging service, which still has 80 million-plus users monthly, have a better shot at surviving without the pressures of a larger company in turn-around mode. Adds Dulaney: “If BlackBerry wants to stay a single entity, they’ll need to sell millions and millions more devices.” Possible, but more and more unlikely as the competition’s prices continue to drop.